It is not enough that you clean your truck everyday for you to assume that it is protected. You have to purchase accessories that will help you keep the cleanliness of your truck as well as protects it from any form of damages and from theft. 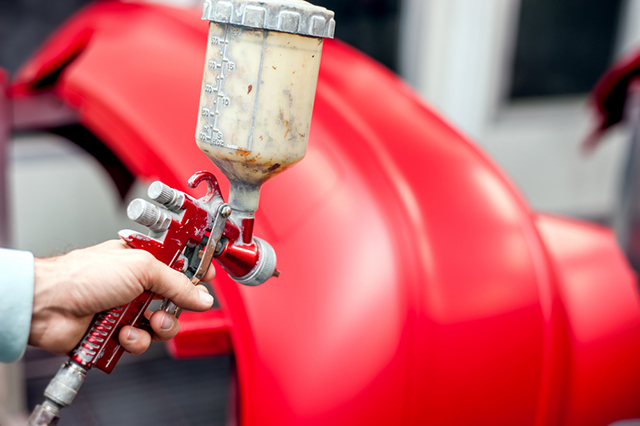 To prevent damage from salt all you need is apply a breakthrough paint protection. If there is a truck part that needs protection the most it’s the truck bed. Basically because it’s the most exposed part of the truck and therefore calls for a great amount of truck bed protection. There are different types of bed protection that may be employed for your trucks such as the placement of truck tops which are often referred to as camper shells, caps, cab extenders, cabs, lids, toppers, half cabs, or boots. The truck tops are simply attached to a truck’s bed to produce a cargo space that is protected from the weather and from theft. Aside from protection, truck tops also help in improving fuel efficiency by enhancing the aerodynamics of the truck. Truck tops are made from two types of materials–fiberglass or aluminum. These truck tops are made from custom molds that are designed specifically to suit a particular truck make, model, and year. The contour around the cab is also being taken into consideration when fitting truck tops to obtain a nice custom fit and a sleek look. The price of the truck tops would again depend on the particular truck make, model, and year. You may also match the truck top’s color with the paint job of your truck by simply telling the truck top manufacturer of the color that you want. Truck tops are considerably heavy and often prove somewhat difficult to remove and replace on a frequent basis. It usually requires for at least 2 people to remove them however there are some truck tops that come with a lift system making it easier to maneuver the truck tops. Before you purchase a truck top be sure that you determine the features that you would like to add as an option to the standard truck top. You may choose from the following options: third brake lights, gas-assisted shocks, interior dome lights, tempered safety glass, paint finish, side and/or rear window packages, clothes rod, carpeted interior, style of trim, power locks, windshield wiper & washer, defrost system, spoilers, air deflectors, side access doors, utility racks, and roof mounted racks. Note: in some models these features are standard while in others they’re offered as an option. Always purchase from manufacturers that makes a custom fit for your particular vehicle make and model although majority of the truck tops manufactured today will fit most of the model but still there are some that do not. Aside from truck tops there are also other bed protections that are available for truck owners such as truck bed covers which include tonneaus, tonnos, and lids. These are placed as attachments to the pickup truck’s bed to provide protection from weather as well as security from theft enabling truck owners to store items in the bed. Truck bed covers and lids are different from truck tops since they do not create additional vertical cargo space. Aside from that, bed covers are best for those who want the benefits of the truck top but do not want the complexity that comes with it. Truck bed covers also provide additional benefit such as reduce wind drag at the tailgate resulting to an overall fuel economy. They also provide a strong, rigid canopy cover over the pickup bed. Most of truck covers worked with under the rail and over the rail bed liners. Plus there is no restriction on the tailgate in any way since it allows truck owners to simply open the tailgate without having to take off the entire cover. Another advantage of using truck bed covers is the fact that there is no drilling required into the truck bed. In terms of colors, black is the standard color offered by most manufacturers since it suits every truck paint job however there are also truck bed cover manufacturers that offer a variety of other colors. Another thing to take into consideration when purchasing a truck bed cover is the material whether you want hard or soft covers. Hard and soft truck bed covers have their respective advantages. The hard covers since they are hard and more compact can’t simply be blown away even at highway speeds. They are available with hinge systems which make it easy to lift the cover to add/remove cargo. They are also lockable and therefore give security from theft. They are waterproof and may be painted to match the vehicle. However since they weigh more they can prove to be tricky to remove and reinstall on a frequent basis. Hard covers are also more costly than vinyl. Soft covers on the other hand are very easy to remove and can be reinstalled as often as you want. They also provide a less rigid top than hard covers and are easily removed for hauling tall cargo. There are also some soft covers that come with adjusters, allowing you to select the tension you desire. For some more details with your truck bed protection needs check your resources. Gertrude Sayzer finished her degree in Marketing at Western New England College. She is passionate about writing and loves to travel as well. At present, this 32 year-old mother of three works full-time at an Ad agency in Boston.